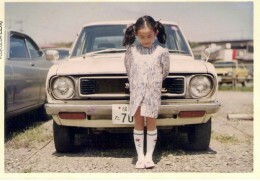 Miki was born and grew up in Yokohama Japan. In her childhood she often went to the park of the Yokohama port with her family. She liked it there very much and thought that she’ll go to a place oversea in the future… As a teenager she was a fan of a Japanese visual rock band which influenced her very much. She started dancing in high school and entered the dance scene in Tokyo. She worked with many choreographers and joined various performance groups in Japan (dance, drama, butoh, music-scene etc.) One day she visited the park of the Yokohama port again. She recalled her childhood and decided to go to a place oversea, as a dancer. In 2009 Miki left Tokyo and came to Berlin. Now she is enjoying her Berlin life.